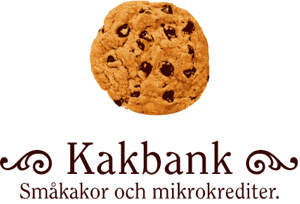 Här är de 71 projekt som vi lånat ut till, med de nyaste först. Hoppas ni gillar dem! To buy vegetables, onions and a fridge to store fresh fruits. to pay for meat products. to purchase haberdashery products, milk, sugar and other products. to purchase another "boda boda" (motorcycle) for transport business. To pay for an order of fabric for resale. To buy sheep for resale. To buy soft drinks and charcoal. To buy fertilizer and seeds. To buy "thioub" fabric, as well as diverse dry goods and clothing. to buy a freezer and to stock her grocery store. to buy fabric to sell to other tailors. To buy ingredients such as cooking fat and wheat flour. to buy tools and hire laborers. To buy bananas, oranges and water melons for resale. To buy rice, sugar and salt. to buy sacks of charcoal to increase her income. to buy seeds, supplies, liquids, urea and fertilisers for her crops. To buy seeds, supplies and fertilizer for her crops. To buy fishing nets and to fix her fishing boat. To purchase pans, buckets, oil, and meat. to buy a used motor for replacing the broken one, and also to buy some merchandise for resale. To buy ordinary clothes to sell. To buy cooking fat, sugar, maize flour, and salt. To purchase stuffed animals and toys to offer a greater variety to her customers. 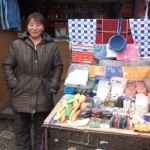 To buy a truck to deliver her production to Kapan city. To open another outlet in Kitengela. To purchase socks, lingerie and kid toys. to buy fertilizer, seeds and home appliances. To buy phone cards and to pay phone and Internet fees. Buy rope, nets, fuel, and food. To purchase cows and sheep. To buy some fertilizers, a pumping machine, and seeds for growing. Purchase women's and children's clothing. To buy a quantity of merchandise (clothes). To purchase vegetables for resale. Achta de 10 paires de tissus pour les tailler en habits finis. To purchase evening dresses to sell for upcoming New Year holiday. To purchase one cow and fodder. To buy a new truck. To import winter clothing items. To expand the business by adding more supplies of charcoal and buy a modern freezer. To purchase pigs and chickens. To buy more groceries and coffee to sell. Purchase more food to sell. To buy fabric, thread, lining and ready-made clothes. To buy material in order to begin a sewing business. To buy general food products. To buy chicks, feed and medicine for broilers. To purchase more spare parts in bulk. To purchase more onions and ginger to sell. Purchase of charcoal and hardware. To purchase oil, beans, tomatoes, and onions in bulk. To buy more chicken feed and a ledger for keeping track of her layers. Add a stock of paints to her construction business. To invest in her business.